Alpha women are known for being strong, bold and confident achievers who go after what they want in life and take charge of their careers. However, being an alpha woman is much more than your professional accomplishments. Being an alpha woman also means taking control of your happiness and using it to become stronger and more influential. 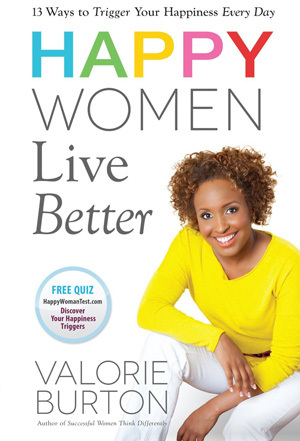 Best-selling author, speaker and life coach Valorie Burton discusses how women today can “have it all” and unlock their personal happiness in her latest book, Happy Women Live Better. In this book, Burton explores 12 happiness myths every woman should know and reveals 13 unique, scientifically proven happiness triggers that can measurably increase one’s happiness on a daily basis. Burton gives SheKnows the inside scoop on how women can activate their happiness triggers to improve their resilience. Burton debunks the myth that says happiness is about what happens; only 10 percent of your happiness is dependent on your circumstances, she points out. Burton wrote this book as a tool for women to use. In her book, Burton describes these happiness triggers as skills. Whether you’re a mom, career woman, student, wife or all of the above, activating these happiness triggers on a regular basis won’t require a lot of your time. For example, to activate the anticipation happiness trigger, Burton recommends creating something to look forward to and savoring the moment, whether it’s treating yourself to a piece of chocolate cake or watching your favorite television show. For the financial savvy trigger, she suggests living below your means or giving money away to bless someone in need. Burton says the three immediate happiness triggers are gratitude, service and movement, which could be activated by simply appreciating what’s in front of you, giving someone a hug or taking a 20-minute walk. What happiness trigger do women struggle with the most? Burton says out of the thousands of women who have taken the test, one of the most common bottom triggers is relaxation. “A lot of women don’t rest and they worry a lot, so they don’t relax. They don’t get enough sleep. My definition in the book is not just about rest. It’s also about being able to let go and not worry. And that seems to be the one that women struggle with the most. Burton encourages women to take her free online Happy Woman Test, which will reveal their top three “personal triggers” and bottom three “power triggers,” as well as a happiness quotient to determine how actively they use all of the happiness triggers. Alpha women are associated with being career-focused and goal-driven, but is there a belief that professionally successful women have made personal sacrifices along the way and aren’t really happy? Burton doesn’t believe this is true. She points out that there are so many opportunities for women today and expectations of what their lives should look like compared to 40 years ago, which can cause women to feel pressured to do it all. 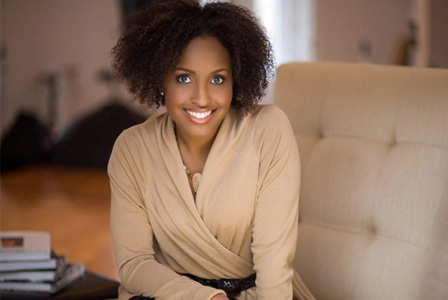 She advises women to be intentional in every area of their life. Take control of your life today by making the choice to be happy. “You can choose to be happier. There are times when we’re going through difficult things and we won’t be happy about those things, but we can choose our attitude. It’s about how you choose to think about your everyday life. You can go through something miserable, or you can choose to go through it and have some joy,” says Burton.